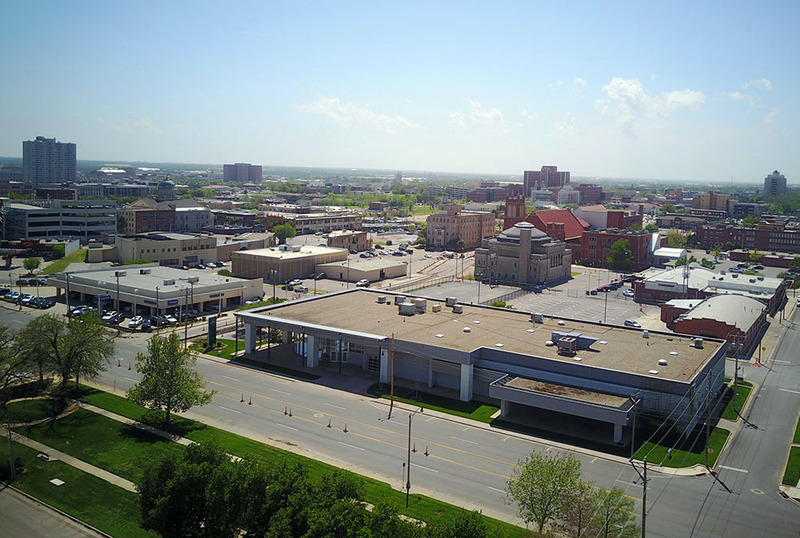 Last week, one of only two remaining downtown car dealerships relocated to a new site near Edmond, leaving Volvo to carry on the Automobile Alley heritage; and that operation will soon move as well. 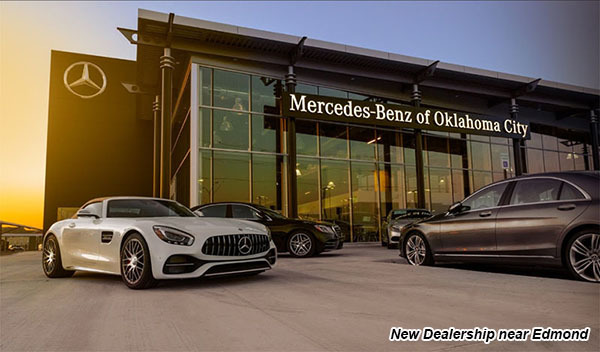 The Bob Howard Auto Group, which owns the Mercedes-Benz of Oklahoma City franchise, had previously announced plans to shift to a brand new location at 14240 Broadway Extension in far north Oklahoma City. Citing the need for more space and the desire to be closer its largest core of customer, the move was completed several days ago. Now, the sprawling facilities and holding lots sit empty in the Auto Alley / Midtown area while plans are underway to move the adjoining Volvo operation – also owned by Bob Howard -- to a location directly next to the new Mercedes facility. OKCTalk has learned that after Volkswagen of Edmond (to be renamed Allen Samuels VW) relocates to a new complex currently under construction at Memorial and Santa Fe, that that property will be remodeled for Volvo and the last of the Auto Alley dealerships will be gone. What is to become of these massive buildings and the many adjoining surface lots just as the new streetcar is set to start rolling by later this year? In addition, the ambitious new home for the Oklahoma Contemporary museum in now under construction directly to the east across Broadway. 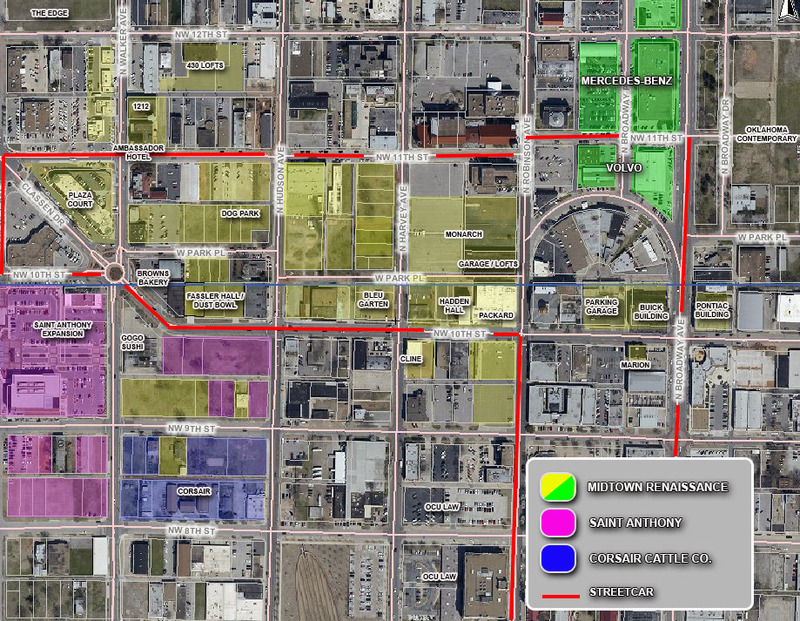 That remains a mystery as Howard's Midtown Renaissance group owns all the real estate along with a slew of other nearby properties, including many vacant lots as well as new and redeveloped buildings such as the Buick and Pontiac buildings at 10th and Broadway, the Plaza Court complex, the Ambassador Hotel, the building that is home to Fassler Hall and Dust Bowl, and several smaller apartment and commercial properties. 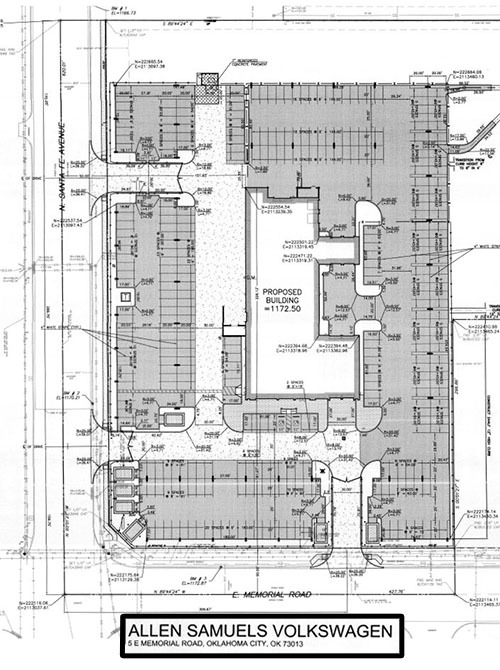 Just two weeks ago the company announced plans for a 4-story office building, The Monarch, in the heart of Midtown. 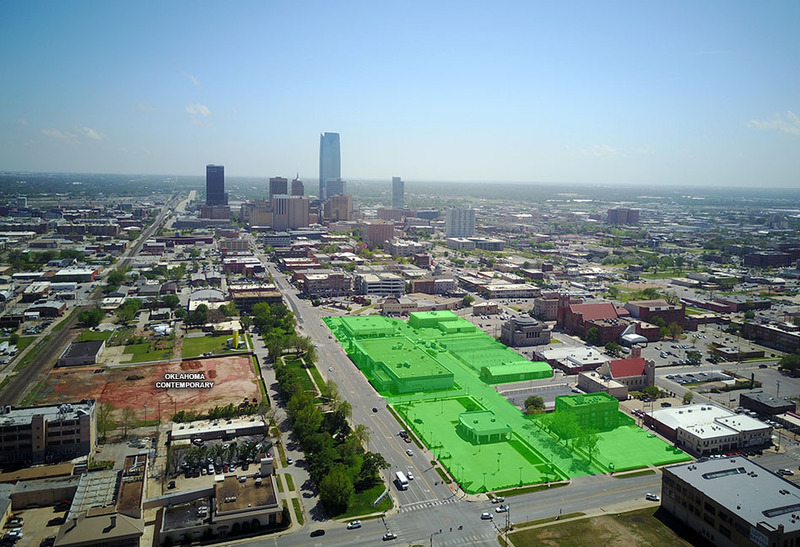 For more on the Mercedes relocation, see this story by our news partner KFOR-TV.